Virginia & Truckee coach No. 17 is the oldest, and probably the most historic, car in the Nevada State Railroad Museum collection. 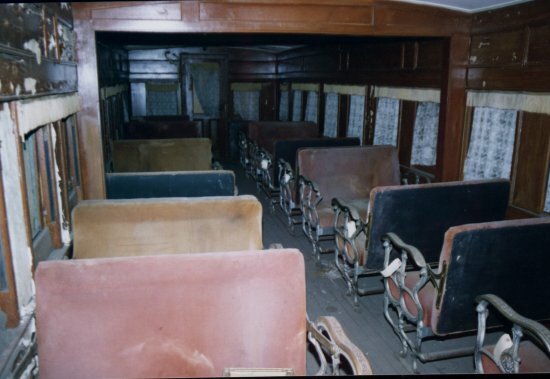 Built in 1868 by the Central Pacific Railroad in their Sacramento shops, it was a private car for the officials of the railroad, especially Charles Crocker, and included facilities for eating and sleeping as well as office space. We believe it is the car that carried Leland Stanford and his party, with the Golden Spike (the "Last Spike") and the Nevada Silver Spike, to the completion of the Transcontinental Railroad at Promontory, Utah, on May 10, 1869. The V&T purchased the car in January 7, 1876 for $2500 and outfitted it for use as their Officer&apos;s car, numbered 25 and named "BONANZA". It was particularly for use by Nevada&apos;s newly elected Senator William Sharon, and the car traveled to San Francisco and Washington, D.C. The Senator leased private cars from the Pullman Palace Car Company after 1878, and in 1880 purchased his own new car built by Pullman&apos;s Detroit shops. The V&T refitted their car as a coach in April 1878 at a cost of $3,197. The car was renumbered No. 17 and used in the Lightning Express, as shown in the well-known James H. Crockwell photo of the Lightning Express on the Crown Point trestle in Gold Hill. After many years of service, coach No. 17 was purchased by Twentieth Century-Fox in 1938, beginning a new movie career. In May 1972 it was sold to Short Line Enterprises for continued movie service. 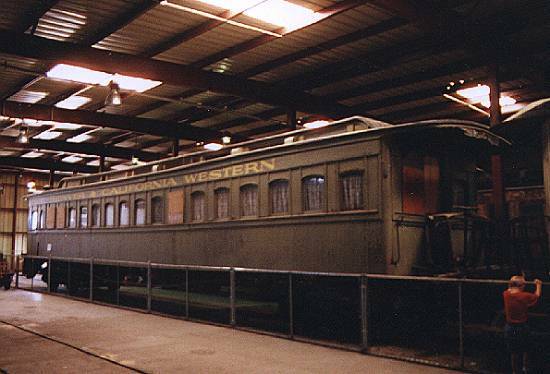 It was purchased by the Nevada State Railroad Museum in 1988, where it is awaiting restoration.